Let’s tackle one more Bungubox ink before we move on to something new, Bungubox Ink of the Witch. This would be a really great ink to use around Halloween. 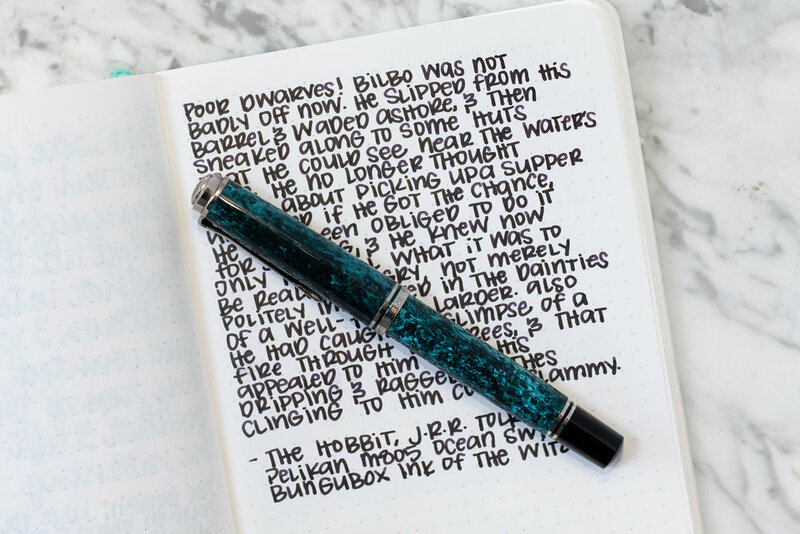 Thanks to Pen Chalet for sending a sample over for review. 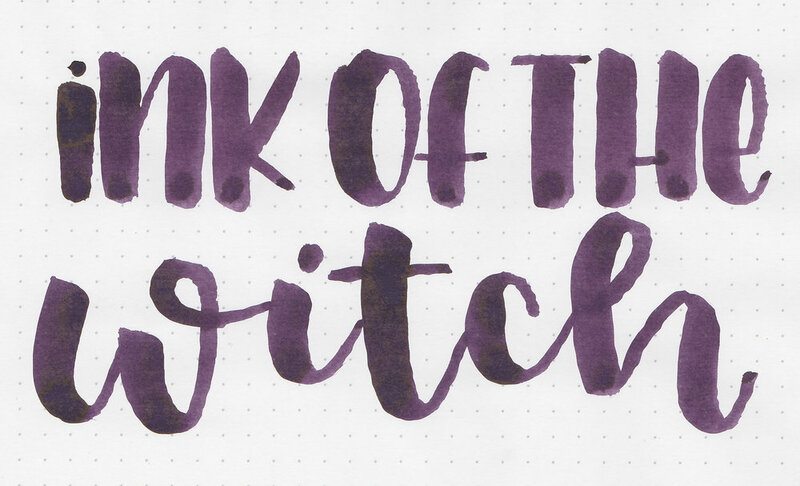 Ink of the Witch is a dark purple. In large swabs the ink looks almost black and has lots of bronzy sheen. Bleeding: Medium-there was quite a bit of bleeding on Leuchtturm, and a little bit on Rhodia too. Other properties: no shading, medium sheen, and no shimmer. The sheen is only visible on Tomoe River paper. On Staples 24 lb copy paper there was some feathering, and some bleeding in the larger nib sizes. 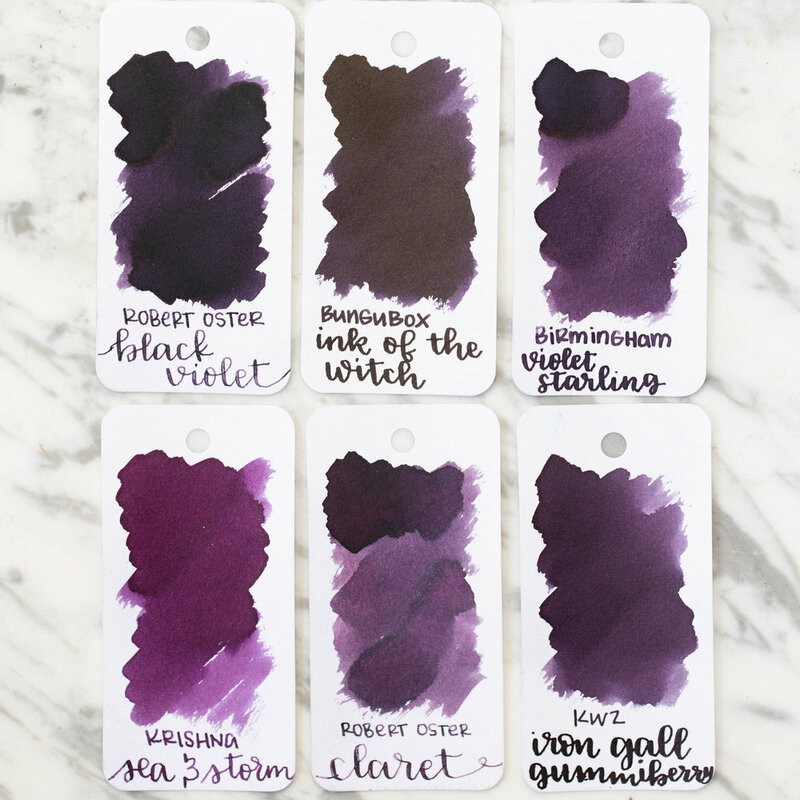 Ink of the Witch is close to Robert Oster Black Violet. Click here to see the Bungubox inks together. I used a broad Pelikan M805 Ocean Swirl on Tomoe River 68gsm. The ink had a wet flow. Overall, it’s an interesting dark ink. It dries faster than I expected, but it also had a bit more bleeding than I prefer.